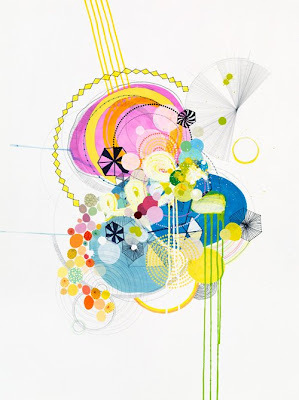 A bit of affordable art to brighten your day: New York City painter Jennifer Sanchez has two new prints available at 20x200. 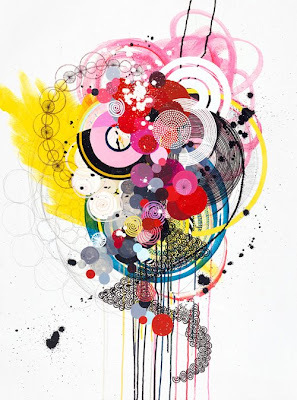 Sanchez's pieces "are best described as exploding optimism ... unabashedly happy and full of bright colors, circles and swirls. She's passionate about depicting emerging spaces that explore the intangibility of space." NY.08.#06 (top) and NY.08.#14 (above) are $20 each for 8-by-11.5-inch prints, or $50 each for 11-by-14-inch prints.